Afghanistan Media has always been under pressure of government in Afghanistan. Media inn Afghanistan refers to the print, broadcast, press and online media. The media was tightly controlled under the Taliban and other periods in the history of Afghanistan media. After the fall of the Taliban in 2001, the press restrictions in Afghanistan were gradually relaxed and private media grew rapidly. However, press freedom is threatened by the continuing war in Afghanistan with kidnappings and death threats of journalists. Freedom of Expression and the press has developed in 2004 Afghanistan constitution, though defaming individuals or producing material contrary to the principles of Islam is severely prohibited. The history of Afghanistan media has begun with the first newspaper, called Saraj-ul-Akhbar (Lamp of the News) was initially published on January 11, 1906 in Dari language. After this first and only issue, its publication stopped then it was again revived in October of 1911 by Mahmood Tarzi known as ‘Father of Afghan Journalism’. 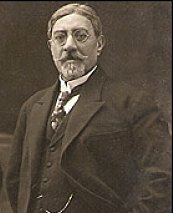 Mahmoud Tarzi, was the editor and owner of Saraj-ul-Akhbar which it was critical of the friendship between the United Kingdom and Afghanistan. In 1919, under King Amanullah Khan Aman-e-Afghan (Afghan Peace) replaced Saraj al-Akhbar, serving as key organ of the government, while other smaller private journals appeared under different ministries. Along with these developments, radio broadcasting began for the first time in 1925, which inaugurated a new era of mass media. The 1964 Constitution of Afghanistan and the Press Law (1965) provided the freedom of the press, within the boundaries of appropriate behavior. The press was editorially independent from the government but it was instructed to safeguard the interests of the state and constitutional monarchy, Islam and public order. Afghan journalism widely progressed and developed from 1950s through to the 1970s, though it remained limited.When the government was overthrown in July 1973 coup and 19 newspapers were shut down and media came under severe restriction, ending a period of relative freedom.The first color television broadcasting appeared in 1978 by Sardar Muhammad Daoud Khan. Then media fell into the control of Soviet influences during the Soviet invasion of Afghanistan in 1979. The media has mainly damaged under the Taliban Regime. Media in Afghanistan under the Taliban regime was characterized by strict media laws, including the banning of television in 1996, seen as "morally corrupt" and music, banned under their law. In 1998 the Taliban have destroyed the television sets and studios. Also anyone who get caught with a television or listening to music was subjected to imprison and punishment. During the Taliban most media were operated from other countries and people were listening to the news from foreign broadcasting radios privately, such as BBC persian. 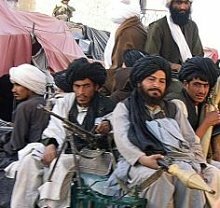 In non territory of the Taliban in the ‘Northern Afghanistan’ people had their own television service which was called Badakhshan Television and it was broadcasting news and movies for its 5,000 viewers for three hours a day. Afghanistan media has gradually diversified in late 2001 onwards, television returned and many restrictive laws were repealed. As a consequence of such policies, Afghan journalists boycotted reporting on the Taliban for a week in April 2007. All media in Afghanistan flourished under new rules, though journalists do undergo self-censorship penalties are still in place for defaming individuals and running material contrary to the principles of Islam. Some government officials have used their positions to maintain their own communications facilities, as national and local governments own or control several dozen newspapers and many electronic media outlets. In 2004 media law prohibited censorship, but required registration of periodicals with the Ministry of Information and Culture. In 2005 around 270 periodicals were registered. International organizations have been training new journalists since the fall of the Taliban. However, due to instability in the country, journalists have been as highly targeted as soldiers, as shown by instances of kidnapping and death threats. The main Afghanistan news agencies are including: Bakhtar News Agency which is a governmental news agency, Pazhwak Private Afghan News Agency. The Internet was introduced in Afghanistan in 2002 and both internet and mobile technology are widely growing in the country. as well several numbers of weekly and monthly magazines. 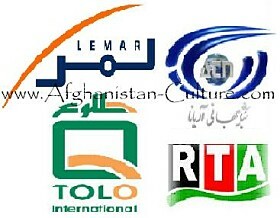 Afghanistan media has significantly developed and millions of dollars have been invested in radio and televesion in Afghanistan. Despite existence of 10 TV channels people are still investing to install new private TV stations in the country and several private TV channels have been registered in ministry of Information and Culture.